The rare site of rivals sitting side-by-side at the El Clasico of Legends football match Friday night was appeasing to Lebanon at a time when its politicians struggle to do the same. 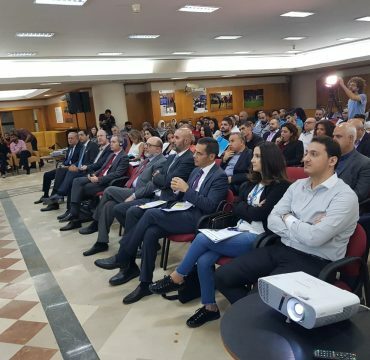 Former stars of Barcelona and Real Madrid donned the colors of their former clubs in front of a crowd which saw some fans make the trip to Beirut from across the Arab world. 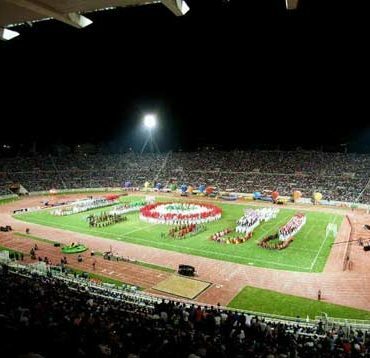 The game was televised across Spain and hundreds of Arabs made their way to Beirut to watch Lebanon’s first-ever Clasico. Politicians escaped for a slight breather to take in the game as well, with Foreign Minister Gebran Bassil and MPs Samy Gemayel and Ali Bazzi present at the game. While the environment was anticipated by many to be relaxed, the two teams battled in what was anything but a game of retired footballers. The second “Clasico” in less than a week had the same result as the previous, one going down to the wire and giving fans their money’s worth with Barca taking home the win 3-2. Leading Barcelona, or the “Blaugrana,” was former two-time World Player of the Year Ronaldinho Gaucho while “Los Blancos” were led by a number of notable legends including Fernando Morientes. Off the bat, Ronaldinho dazzled the crowd with a cheeky chip to assist Ludovic Giuly’s first goal. “This guy is hands-down the greatest player to play the game,” Omar Ghanem told The Daily Star, jumping with excitement after the Brazilian assisted the opening goal. Shortly after, Real Madrid equalized through an impressive left-footed strike from outside the box into the upper left corner of Barca’s GK. Ronaldinho, once again, stepped up to the moment and provided two more assists on Barca’s second and third goals. Simao Sabrosa and Ludovic Giuly scored Barca’s second and third goals. Madrid battled and a few hard fouls were witnessed by spectators as the spark to all Clasico’s was once again reignited. Giuly expressed his excitement after the game, saying: “The game was fun and exciting and I’m thrilled that the game ended 3-2 like the Clasico last weekend,” he told reporters. Other past La Liga stars who featured in the match included: Gianluca Zambrotta, Juan Carlos, Gheorghe Popescu, Juliano Belletti, Eric Abidal, Gaizka Mendieta, Edgar Davids, Luis Garcia, Fernando Morientes, Fernando Sanz and Christian Karembeu.